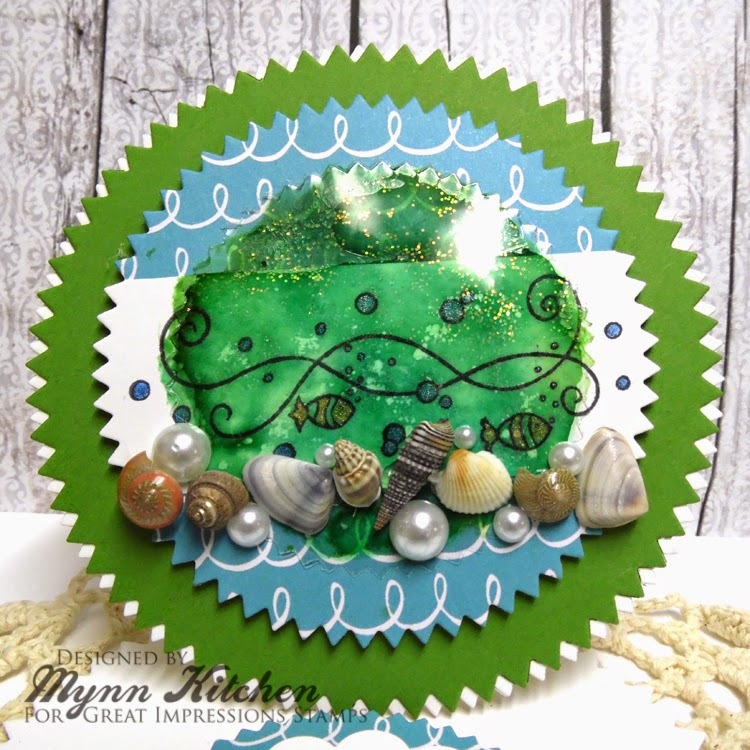 I decided to create a fun fish bowl card using G421 Bubble Fish as my image. 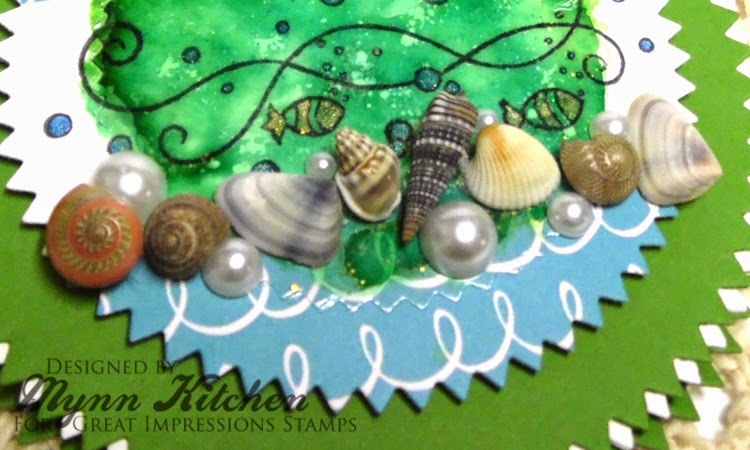 I stamped it, colored it in with glitter gel pens, then added it to the front of the easel using Glossy Accents, reinkers, and Stickles. 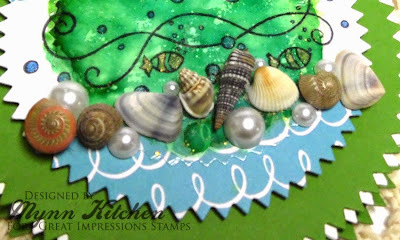 I then added some seashells and pearls to create a "sea floor". 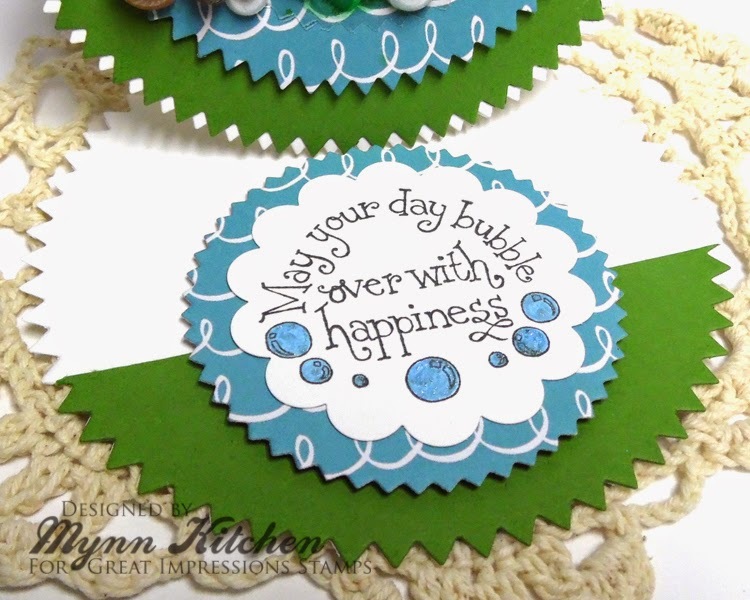 I chose E767 Bubble Over as my sentiment because I LOVE LOVE LOVE a good pun! 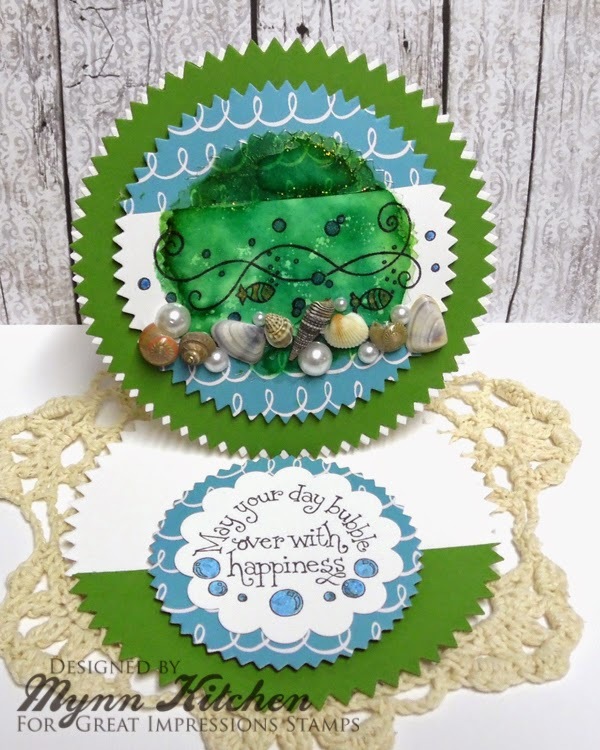 This sentiment just seemed to be perfect! It's even circular in shape, like the fish bowl easel! What fun, Mynn! Love this idea - can't wait to give it a try!